With all my talk about favorable currency exchange rates, cool places to live and a lower cost of living in Mexico, I have neglected the most rewarding aspect of living here: cultural exchange. When you think of cultural exchange, you might only think back to your college days. Truth is, the gratification of cultural exchange doesn't change. It's just as eye-opening when you're an middle-age expat as it was when you were a 20 year old college student. That’s why living in another country makes you feel 30 years younger. You are discovering again, exploring again. Cultural exchange in Mexico can’t take place, obviously, without throwing yourself into friendships with Mexicans. For all the benefits of having a spouse, when you live in Mexico as a single person, you have more time and freedom to find your own Mexican friends. You are more approachable because the vetting process is managed by only one person: You. Not that couples can’t do it, I just think it’s easier for single people and less trouble for Mexicans. Whereas older Americans are often more guarded in initiating new friendships, I've found Mexicans display their spirit of adventure through their willingness to make friends of different cultures. None of my friends back home have friends who don’t speak English as well as a native. My Mexican friends embraced me when my Spanish was far less than perfect sober, horrific after more than two glasses of wine. That says alot about them. Maybe they are just being polite (because they really are polite). They are interested in aspects of my life that began to bore me ages ago (growing up in rural Oklahoma sounds pretty exotic if you don't know where Oklahoma is.) Suddenly, I feel interesting again. Unless your Spanish is fairly fluent, your friends will be people who speak some English or are trying to learn. Mexicans like to work on their English for many reasons. Some use English in their jobs. Others learned years ago and are trying to pick it back up. Some have children who are learning English and want to be part of the fun. Others just love languages. With some Spanish you can, well, exchange culture. While American culture may have the ancient history that Mexico does, Mexicans love American pop culture. Hopefully, you will know at least a little about that. My Mexican friends and I have watched Jimmy Fallon and Adam Levine do Wheel of Musical Impressions. They tend to like Stephen Colbert. The know about many American movie stars. Mexico has a rich literary history so it was surprising how familiar my Mexican friends were with American authors too. I rarely stump them if I mention a Great One; Ernest Hemingway, Herman Melville, Kurt Vonnegut, Tom Wolfe. Another topic offering rich fodder for conversations is music. Mexicans know quite a bit about classic American rock music. They like our jazz musicians too, so I got to introduce them to AmyWinehouse. These exchanges obviously are very social, you are exchanging culture as well as providing each other an opportunity to practice their second language. If you are trying to learn Spanish and they are trying to practice English, remember to balance the time equally between the two languages. For example, if my Spanish is better than their English, Spanish tends to dominate (and I get to practice) if left unchecked. If their English is better than my Spanish, English dominates (and I don't get to practice). Make sense? It works the same with married couples who speak two languages. The person who gets to practice the most is the person who is already strongest in the second language. In my enthusiasm to practice Spanish, I have to remember to yield the floor to speaking English for awhile, and give them a chance to converse in their second language too. One evening, after a Mexican display of familiarity with Pink Floyd caught me completely off guard, I mentioned to a male friend that I had not yet found any Mexican music I liked. There are plenty of Latin American singers, like Gustavo Cerati (Argentine) or Alejandro Sanz (Spain) or Chayanne (Puerto Rico) so I get my Spanish fix. Yet, I felt I needed a Mexican band to champion. He suggested Mána, Cafe Tacbva and Fobia. Mána became my new fave (as it has been for half of Mexico for two decades). Easy friendships, music, great books, and lectures. See? Just like college. Related Links: To be open to cultural exchange, you first might want to check into your own misconceptions about Mexico. Next up: Expat life and your housing plan, most importantly, what to do with your home or apartment in the States. Most recent: You're here. You might as well learn how to make the perfect tortilla. 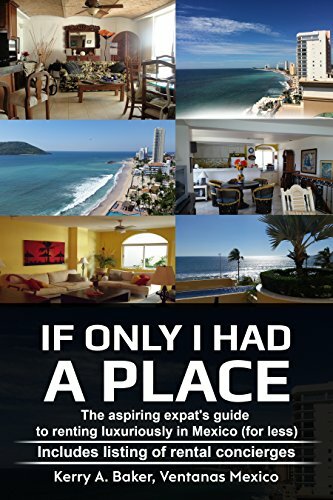 Hi, I'm a partner with Ventanas Mexico which provides insight and resources to those considering expat life in Mexico, including the guide on renting, "If Only I Had a Place." Avoid the pitfalls and take advantage of the opportunities of renting as an expat. 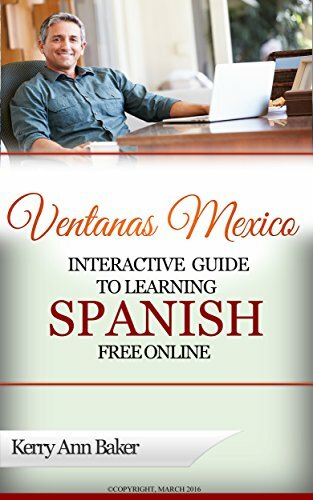 I also wrote the "Interactive Guide to Learning Spanish Free Online," a curation of the best Spanish language tools on the web, with lesson plans. Speaking Spanish doubles the meaning of expat life. You can learn after 50. Get started today!